Locksmith services are very important to commercial property, residential property and automobiles. Their services ensure that the security of your property is not compromised at all cost. 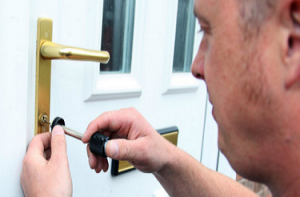 Locksmith services range from installation services, maintenance services, upgrades and lock repair services. Whether you looking for new lock installations, lock repairs and replacements, ensure that, you select a reputable company or qualified and experienced locksmiths to handle the process. There are many reasons as to why you require hiring professional lock repair services. First, if you are locked out of your car or home, you may have a more urgent need for a locksmith. Next, if you have an issue with your key where it stops working periodically or in case the key breaks in the lock. In that case, hire a locksmith for lock repair services done right by your trusted expert in your area. • Offices: The office is quite important since it is the area from where you operate your business. Providentially, professional locksmiths offer a good number of commercial services from which you can select from to suit your needs. These services include lock repairs, rim locks, cover card readers, alarmed rim, exit control locks, and file cabinet locks. Many businesses are moving to key and keyless fob entry to access buildings. 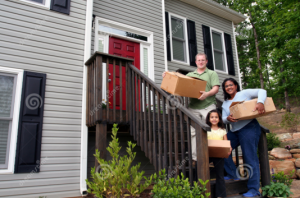 • Property management: The services rendered by the locksmith company should be capable of offering master key services and other options to make your property more secure. • Electronic keypad: Such products can be used for entry into sections of a building or into high-security business premises. You may have a lock that needs a part to be replaced, a broken one that requires to be fixed, or a new lock that requires to be installed. Look for a reliable company that offers a wide range of products so that you can be sure that they have what you require or have a wide range of options depending on your security requirements. Ensure that they have the equipment to accommodate exterior and interior doors, as well as crawlspace, outbuildings, and other areas of your home and yard that may require security. Lock repairs are offered for security types and any lock model including keyed entrance locks, handle sets, privacy locks, deadlocks, and passage doorknobs. Quick repairs will save you from higher replacement costs. In case you lock your keys inside the car and you do not have access to the spare, you will require hiring lock repair services for your car. 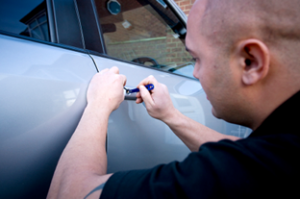 Automobile lock repair services take care of broken car locks. They also take care of complex automobile doors that need repair services. You can have power locks manual locks, and child safety locks repaired by professionals. Automobile lock repair services are among the best roadside assistance offered for emergency locksmith services to ensure that your problems are solved whenever they occurs. Contact the locksmith company that offers reasonable rates, fast services, and that one that accepts the mode of payment that is readily available since most of them only accept cash and checks. Be sure they are capable of servicing your vehicle, since most of the modern devices use new technologies that can be somewhat complicated. In conclusion, whether you have time to look for lock repair services or have an urgent need, look for a company that has a team of qualified professionals to meet your requirements and one that is insured against damage to property. In addition, when choosing a locksmith, make sure that they can handle your repair needs at a reasonable price.